Sparkle dog collars are really something special for a big mastiff dog! Sparkle dog collars are designer dog big mastiff dog breeds to control their power sefaly and comfortably for both a handler and a dog. 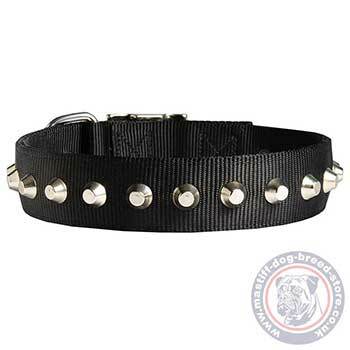 These are beautiful dog collars decorated with metal cones, that makes these daily dog accessories special. Let your dog look gorgeous at each daily walking! 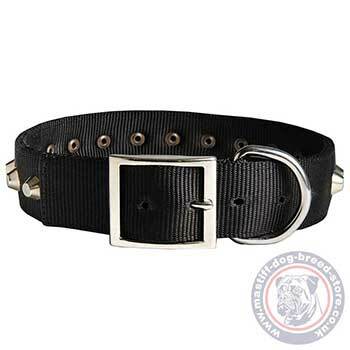 Sparkle dog collars for big mastiff dog breeds are wide and strong. They are made of 2 ply, strong, reliably stitched nylon. 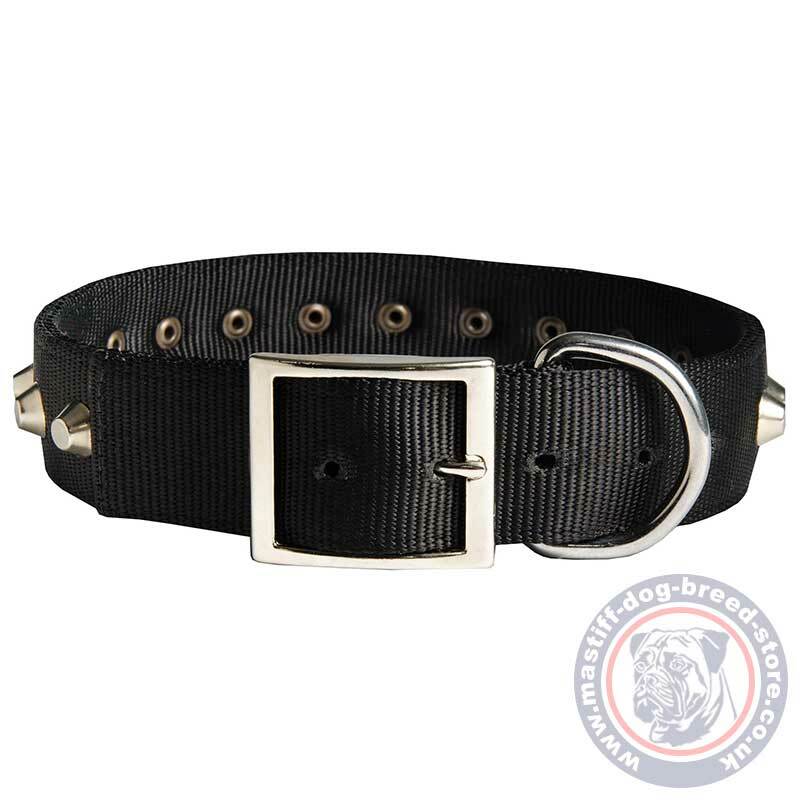 These beautiful dog collars are easy adjustable with an easy buckle and ring. 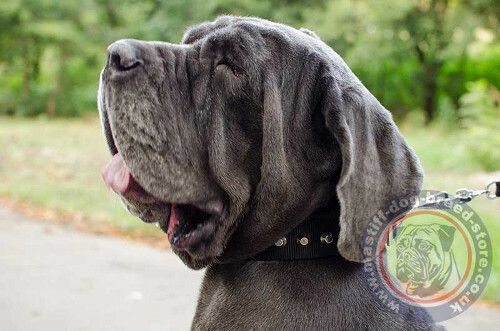 control of mastiff in public, at home, etc. The collar size corresponds to the neck size of your dog at the central hole (C). Choose reliable and beautiful dog collars with cones, that combine strength, comfort and style.